Soup is good food. I always teach a soup in my winter classes and it’s on my family’s dinner planner every week. The body craves warm foods when the weather is cold and soup is also very digestible. Plus my family loves soup! I am a contributor to Clean Eating Magazine and my first assignment for them was last January’s soup story. 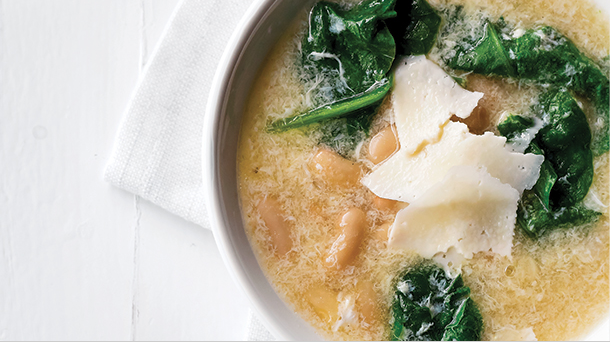 One of the five recipes I developed for the magazine was this Stracciatella, also known as Italian Egg Drop Soup. I didn’t invent Stracciatella, I’m sure you know. But I put my own little twist on it while still keeping it like the real-deal. Stracciatella means “little rags” in Italian and pertains to the straggly ribbons formed when eggs are drizzled in and cooked. The word also refers to this soup as well as to vanilla ice cream with ribbons of chocolate throughout. I don’t know if the soup inspired the ice cream or vice versa, but I love them both. 😉 I grew up eating this soup which was dispensed when we were under the weather or didn’t have much in the pantry since you could pull this together in minutes with very few ingredients. Often, pastina is used in this soup, but I have substituted beans which are a heartier and less processed food. And you know my Italian grandmother trick of adding a Parmesan rind to the soup to add an amazing savory flavor. ‘Tis the season of sniffles and sore throats. It’s not a bad idea to have some homemade chicken stock or bone broth on hand in the freezer for those days when someone walks in the door and declares, “I don’t feel well.” And I might as well add that homemade stock makes a huge difference over boxed stock in a recipe like this since there’s no where for the stock to hide, so to speak. 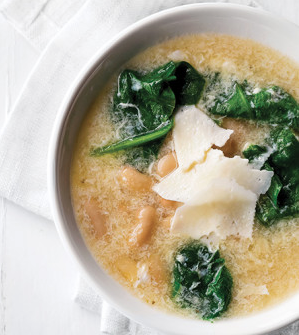 If you’re under the weather or just want some instant comfort food, give this a try. 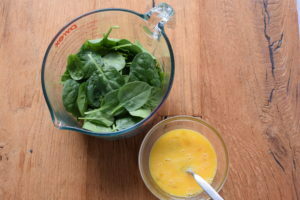 You can also add frozen peas or mixed frozen vegetables to bulk this up a bit. No problem that it’s not traditional. One of my favorite things to do is to take a classic recipe and mess it up a bit. I’d love to hear what some of your favorite remedies are when you’re feeling under the weather! In a large pot warm the oil over medium heat. 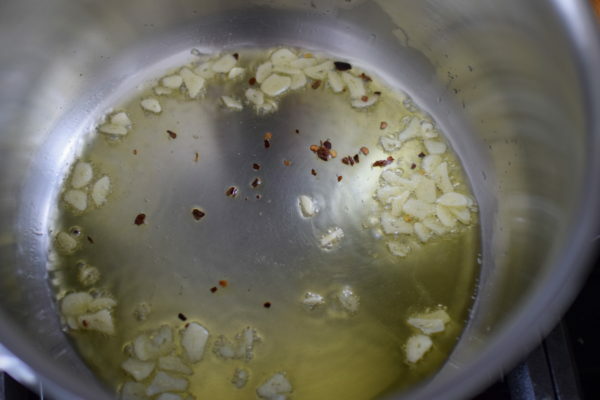 Add the garlic and crushed red pepper flakes and sauté until fragrant, but not browned, about 30 seconds. Add the Parmesan rind, white beans, stock and sea salt. 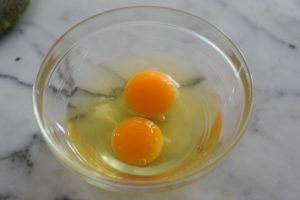 Bring to a boil over high heat and lower to a simmer. Cook partially covered for 10 minutes. 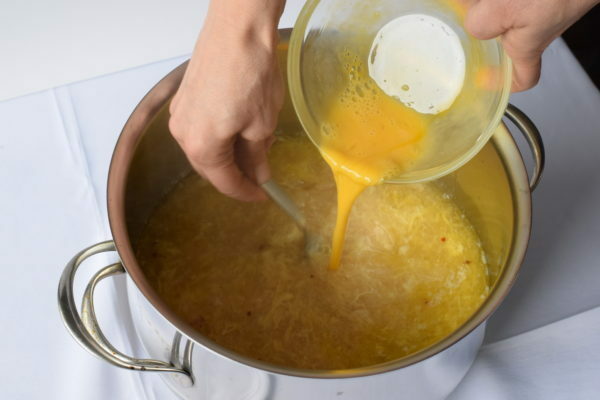 Slowly drizzle beaten eggs into hot soup, while constantly stirring the soup with a fork. Discard Parmesan rind and serve soup with grated cheese, if desired. It’s very simple, but very comforting. It’s all about the broth you use. Made it tonight. Absolutely delicious! And so easy. Will definitely be making again and again. So glad! I’ve been eating this soup my whole life! Hi Pamela! This soup was delicious and very easy to prepare. I love the umami the Parmesan rinds give. On a side note, I’m on my sixth recipe from your site and they are all winners! Ha! just came on the site as I have a big pot of chicken broth on the stove right now and just picked up some parm rinds I saw at the store this morning and thought, let’s see what Pamela has in the way of soups I can make tonight…will make and report back! This was my favorite soup as a kid. Growing up in Manhattan there was an Italian restaurant called Roma Nova right near our apartment and this was all I ever wanted to eat. I just made it and loved it as did my daughter who is about my age when I would have it. Thank you! Sweet story. 🙂 Glad you and your daughter enjoyed this. This soup is just so delicious! Even if you are feeling well, I think it will help keep you that way. It really is yummy!